He pours some orange juice into the blender, cracks in a raw egg, and blends it up. Then he sits at the table, reading the newspaper while sipping on his raw egg and orange juice drink. While this breakfast may seem strange by today’s standards, eggs have been a part of our diet for thousands of years. And similar egg and orange juice concoctions have been around since the 1920’s. I continue to recommend eggs (not necessarily raw) and orange juice for breakfast to many of my clients. Today, eating cholesterol-rich eggs, or a “high-cholesterol diet”, is considered dangerous by many. Yet, cholesterol is very protective of your thyroid health. 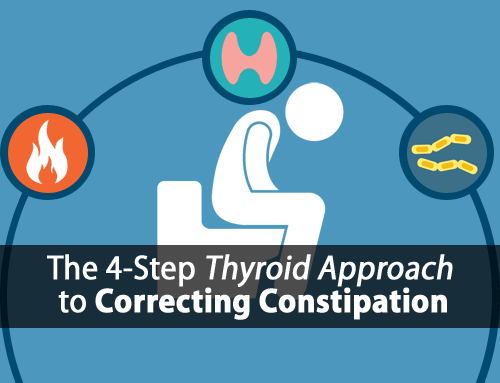 In fact, I’m going to show you four simple tips to boost your thyroid-protective hormones by using more cholesterol, in a minute. First, you need to understand that cholesterol isn’t really dangerous after all. Are you afraid of getting too much cholesterol from your diet? The good news is that decades of research have shown that a high-cholesterol diet is NOT associated with heart disease, even for those with pre-existing high cholesterol. This was shown again recently in the Kuopio Ischaemic Heart Disease Risk Factor Study. Similar research has also been shown with diabetes. The same Kuopio Ischaemic Heart Disease Risk Factor Study also showed that those who ate the most eggs were at lowest risk of Type 2 Diabetes. Of course, there are other factors involved, not just cholesterol. Eggs are also a good source of Vitamin B7 (biotin), which many studies have shown help to improve blood sugar handling and insulin sensitivity in diabetics. This is one of many reasons Vitamin B7 is included in our recommended Vitamin B Thyroid Complex supplement. What these studies do clearly show is that eggs and a high-cholesterol diet are NOT a danger to your health. 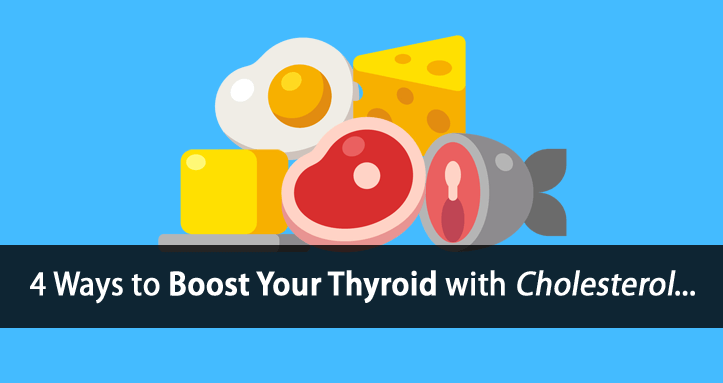 In fact, here’s how cholesterol can help save your thyroid. Many studies show that cholesterol rises as thyroid function declines. This is why most hypothyroidism sufferers have high cholesterol. I’ll tell you what to do about this in just a second. Yet, some thyroid sufferers experience the opposite. They have low cholesterol, due to liver dysfunction. If your total cholesterol is less than 170 mg/dL, then you may need to be concerned. 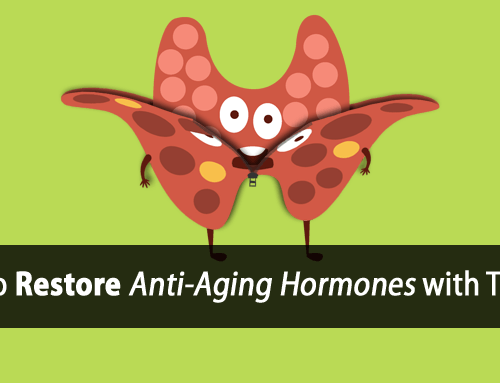 Without enough of these thyroid-protective hormones, your thyroid doesn’t stand a chance. So, in the case of poor liver function, getting cholesterol through a high-cholesterol diet can help protect your thyroid, while you focus on getting your liver healthy. Since orange juice helps support liver function and eggs are a good source of cholesterol, their combination is great way to boost your thyroid function. Whether you have low or high cholesterol, the key is to get your body using your cholesterol to produce adequate thyroid-protective hormones. Here are four simple tips that can help you do this. It should go without saying, but the first thing you need to produce enough thyroid-protective hormones is enough cholesterol. If your cholesterol is above 170 mg/dL then this may be sufficient. However, cholesterol in the range of 200 to 240 mg/dL is ideal. If your cholesterol is too low, then eating more eggs and increasing dietary cholesterol can help. Maintaining healthy cholesterol levels is all about balance. And Vitamin A serves two important purposes that are essential to maintaining that balance. For starters, without adequate vitamin A, you can’t convert cholesterol into your thyroid-protective hormones. As a result your cholesterol rises. And when cholesterol is low, vitamin A helps to aid your liver in increasing cholesterol production to safe and healthy levels. As you can see vitamin A works to both help support healthy cholesterol production and its conversion into your thyroid-protective hormones. Replenishing your vitamin A deficiency can significantly improve your thyroid health. For those who prefer to get their vitamin A through diet, the best source comes from eating liver. For those who prefer not eat liver, there’s an amazing supplement that contains vitamin A and other thyroid-boosting vitamins. 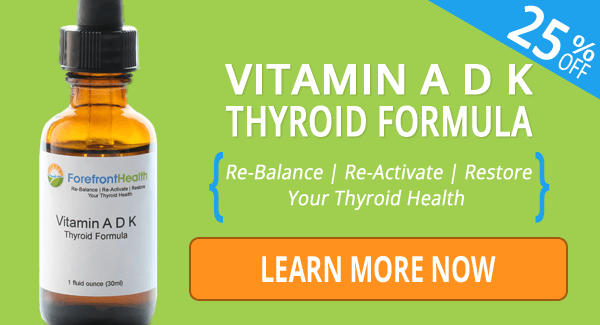 It’s called Vitamin ADK Thyroid Formula, and you can click here to learn more about it. Fruit also serves dual purposes when it comes to your cholesterol. Like vitamin A, it helps your liver to produce and maintain healthy cholesterol levels. And it also stimulates your metabolism to help promote the conversion of more cholesterol into more thyroid-protective hormones. To produce your thyroid-protective hormones, you need all three main ingredients. You need cholesterol and vitamin A, which we’ve already covered. You also need… thyroid hormone. But not just any thyroid hormone, you need active T3 thyroid hormone. Being hypothyroid and deficient in T3 also prevents you from using cholesterol and converting it into your thyroid-protective hormones. As a result, it can lead to high cholesterol. This is one of many reasons that supplementing thyroid hormone (T3) can be necessary. 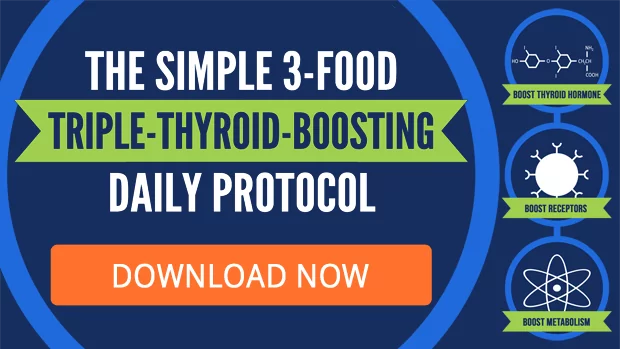 If you’re looking for a good source of supplemental thyroid hormone that doesn’t require a prescription, then click here to see what I recommend. Let’s say you have enough cholesterol, vitamin A, and thyroid hormone (T3) to produce your thyroid-protective hormones. Now it’s time to step on the gas pedal, so to speak. This is where sunlight can come in handy. Exposure to sunlight is known to increase your metabolism and speed up the production of your thyroid-protective hormones. This is why adequate sunlight is also known to lower cholesterol levels. Exposing your skin to 20 to 30 minutes of peak sun exposure is often sufficient. But be careful, because too much sun can be dangerous. You do need adequate cholesterol for healthy thyroid function. And in cases of low cholesterol, a high-cholesterol diet can help come to the rescue. But you still have to make sure you body is able to use cholesterol to produce enough of your thyroid-protective hormones. Then use something as simple as sunlight to help stimulate and speed up the conversion process. 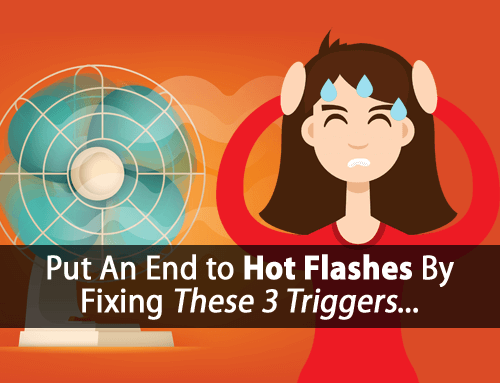 Get started with this today and see the different it can make to your thyroid health! How much of each vitamin is in your ADK supplement? Shouldn’t these values be on the label? Hi Terry, they are listed on the label under the “supplement facts”. Hi Suzanna, yes, I have many clients in Australia so we ship there all the time. A little off topic, but speaking of orange juice, after about 5 days on the OJ + collagen + salt routine, I had to quit because I had developed several large, painful canker sores all over my mouth. I guessed it was the acidity of the orange juice. (It was pure juice with no added ingredients, and I even tried diluting.) Can I substitute another juice, like apple? Hi Danielle, store-bought orange juices typically use more unripe oranges that are more acidic. Fresh squeezes oranges are best. You can also add a pinch of baking soda to neutralize the acidity. 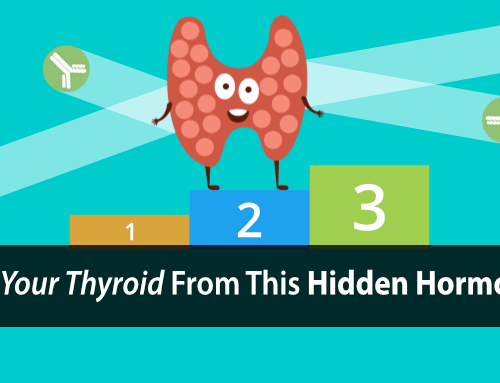 How does one know if they need the thyroid T3…conventional TSH tests?